Liu Xiaobo, a well-known Nobel Peace Prize laureate, died about a year ago under house arrest and strict police surveillance. On 10 July 2018, after 8 years of house arrest, Liu Xia, Liu Xiaobo’s wife, has finally been set free and allowed to leave the country. She has fled China to live in Germany, where she will be treated for the severe depression, various physical ailments and heart condition that she is suffering. Liu Xia is known for her poems, which transcend the suppression of the current Chinese communist regime with elegance and grace. Throughout the time that she and her husband were separately imprisoned, friends of theirs managed to smuggle out these poems and share them. Liu Xia and her late husband were first detained due to Liu Xiaobo’s advocacy for democratisation of China. Xiaobo had been influential in promoting peace and human rights throughout the process, from deescalating Chinese police violence against student protesters in Tiananmen Square in 1989 to calling for political reform in China through a manifesto known as Charter 08 in 2008. The document was critical of the developments in China under past and present leaders. In the end it was Charter 08 that lead to his and Liu Xia’s detention for the near decade to follow. Germany’s Angela Merkel was instrumental in negotiating Liu Xia’s release. Merkel raised the case of Liu Xia’s detention during a human rights dialogue between European Union and Chinese representatives in Beijing on 9 and 10 July. In this case, the persistence of continued pressure of the German government on China to release Liu Xia paid off. The case of Liu Xia proves that with consistent and unrelenting pressure on Beijing, progress in human rights can be made. However, while this is great news for Liu Xia, it is important to keep in mind that many other academics and human rights activists remain imprisoned without any official charges against them. 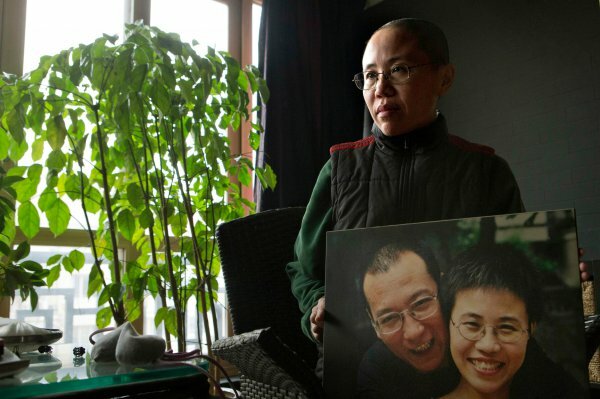 Liu Xia and her husband, Liu Xiaobo, are an example of the severe suppression that China continues to implement on human rights activists and artists. Another example of such unlawful detention is that of Liu Xia’s brother Liu Hui, who is currently detained under Chinese governmental supervision. Large numbers of other academics, lawyers and advocates speaking out against the Chinese government, such as Uyghur professor Ilham Tohti, Taiwanese democracy activist Lee Ming-cheh, human rights lawyer Wang Quanzhang, and Tibetan language activist Tashi Wangchuk have disappeared or remain imprisoned in the same conditions.